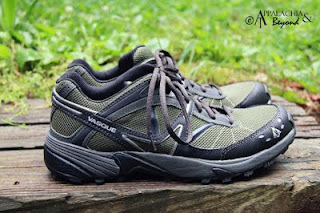 As you all know, I was a lucky recipient of a pair of Vasque Mindbender 7516 Trail Running shoes. I had entered a contest sponsored by Rock Creek Outfitters and Vasque Footwear for free entry into the Rock Creek Scenic City Trail Marathon and a free pair of Vasque Mindbenders. It's probably a good thing I didn't win as I would have placed dead last anyway as I've only been back to the running thing for about a month or so now. Regardless of the fact, because I tried so hard in the contest, Vasque Footwear was kind enough to offer me a consolation prize in the form of a free pair of Mindbenders. I was actually quite surprised at the offer and very excited as well as grateful at the same time. This in my opinion is the mark of a great company, willing to reward those that even when they come up short they tried hard regardless of the fact. Well I've had the Mindbenders now for about 2 weeks and already I've fallen in love with them. I've been running on the Lake Trail at Big Ridge State Park and the Songbird Trail at Norris Dam State Park. I've worn them to work and have walked several miles in them during breaks. 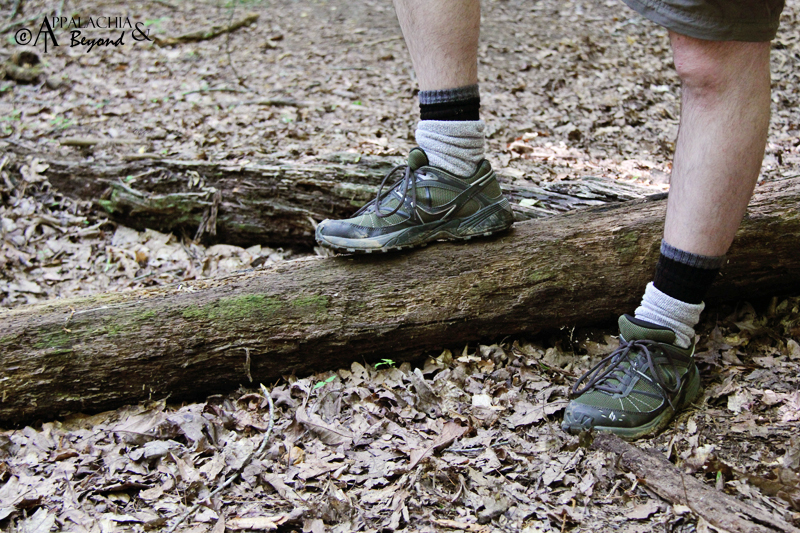 I even wore them this past weekend hiking in the Big South Fork. Oh and they work quite well on the track, too. The first day I received them in the mail, I had them out of the box immediately checking them out. As I was home for lunch I couldn't wear them just yet but was eager to get back home. When I did I immediately changed out of my work clothes into more suitable shorts and t-shirt appropriate for a little house work to help out Robin who is still working overtime making baby. I donned the Mindbenders and set straight to vacuuming the house. The first thing I noticed was the grip of the shoes. Of course I was on carpet but it was almost like my feet glued to it with every step. During the few trail runs and other runs I've done since I received them, I've noticed more and more how well the shoes perform. I've only slipped a little one time while wearing them and that was going up hill on a trail with brittle rock. You know the kind: slate rock that crumbles the seconds you put the slightest amount of pressure on it. Other than that they've been great. I've even gotten them a bit wet walking through grass after a good soaking rain. They handle moisture quite well with a very breathable mesh upper which also allows your feet to stay cool in the heat and allows for quick drying too. The sole of the shoes are quite impressive as well. I've noticed that when running I do not feel the shock of impact with the ground on my feet at all, unless I happen to land the toe area on a stick, rock, or root. Walking on the road is like walking on a firm mattress if that tells you anything. The weight of the shoe comes in just under 400g making them a nice light weight trail runner. 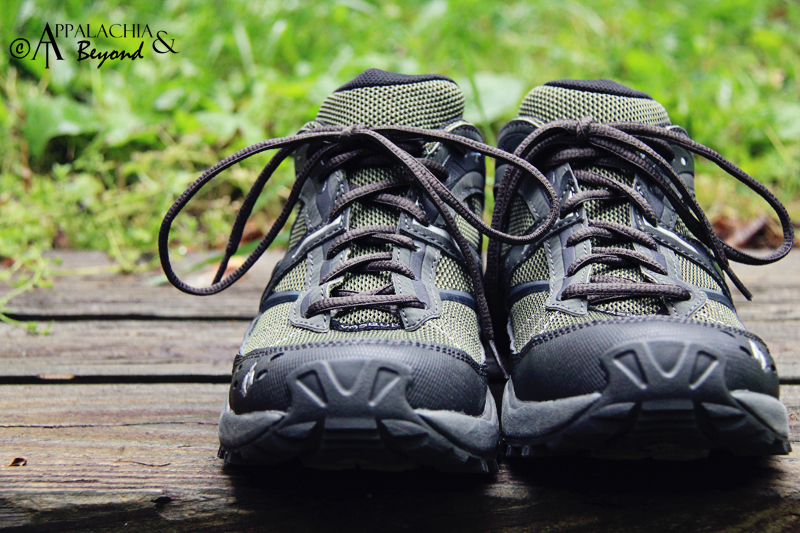 My feet don't feel like they plod along while walking, hiking or running. 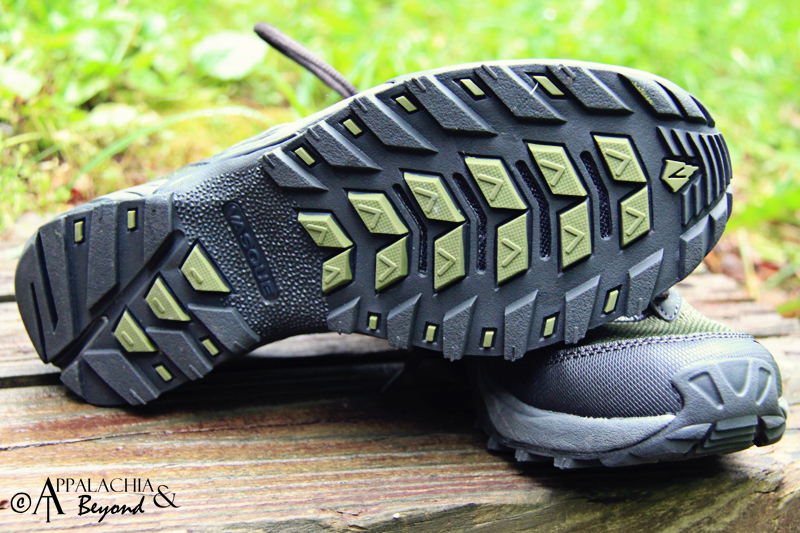 Instead of the clunky feeling one might get with a sturdy hiking shoe or boot, the Mindbenders are quite the opposite. I feel nimble on my feet, like I can handle any sort of terrain, well except maybe wet, moss covered rocks, I don't think anything can stand up to that. That stuff is like black ice on the road. The fit of the Mindbenders is rather superb as well. It feels as though they cradle my foot nicely and leave enough room in the toe box for foot swelling/expansion that is experienced when running longer distances. I did order a half-size up as I usually do with any shoe that I'll be very active in. However, I don't think I would recommend this shoe to a flat footed person. While the arch support is well for the normal pronator, someone with flat feet wouldn't get the arch support they needed unless they wore some sort of orthotic or other insert. Of course if you've ever tried to wear an insert/orthotic in a pair of running shoes, it feels as though you might run out of the shoes at any moment. One other point on the shoes I will mention is that while they are great for trail running, urban walking, hikes on easy to moderate terrain, and other running surfaces, I wouldn't recommend them for hiking in the winter, at least not in our neck of the woods or further north from here. 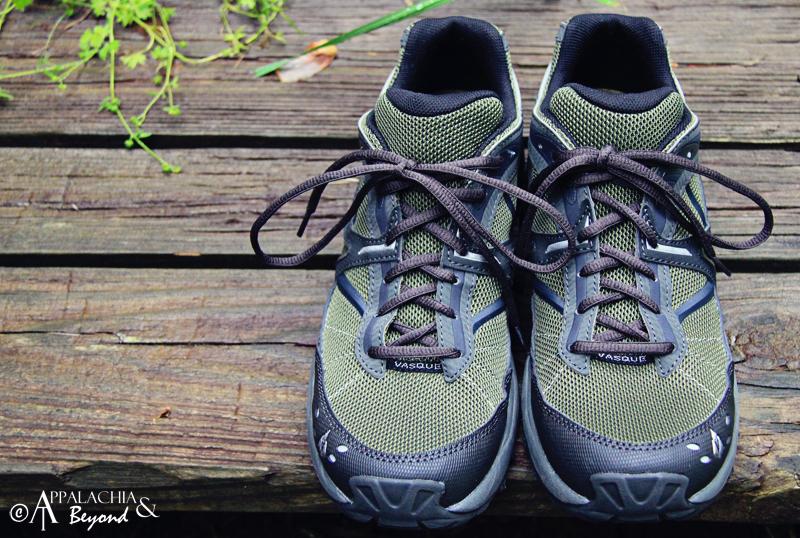 With the breathability, your feet would likely get a little chilly. I also wouldn't recommend them for hiking on a longer or more technical trail like those you might find in The Great Smoky Mountains. One stub of the toe on a root or rock sticking up out of the ground and you will definitely feel it. Anyway, I can't say enough how much I love these shoes. Even though I'm still breaking them in (I've only got about 30 multipurpose miles on them) they have met and surpassed my needs for a trail running shoe. I also can't thank Vasque Footwear or Rock Creek Outfitters enough for holding the contest, otherwise I wouldn't have been fortunate enough to have these great kicks for my footsies. Okay, I know some of you are all about the technical details so I will share them with you here straight from the Vasque Footwear website. So there you have it. If you are in the market for a good pair of trail runners and you aren't flat footed, I would highly recommend a pair of Vasque Mindbenders. Disclaimer: Tim received the Vasque Mindbender 7516s free of charge as a consolation prize in a contest on Vasque Footwear's Facebook Page. He agreed to review them here on Appalachia & Beyond. The opinions expressed above are Tim's independent thoughts and experiences.